Refer clients to us and earn up to €400 (approx $450) monthly per referral! Tell the world about Newfies-Dialer and earn up to €400 Euro per month per referral by joining Newfies-Dialer’s affiliate program. We will pay up to €400 Euro per month for up to one year for every customer that you refer to us. Find out how to get started below. Earn commission by referring your client or website visitor to us. We send you a monthly payment according to what plan the customer purchases for 12 months or the life of the customer, whichever is sooner. * Commissions are paid according to the table above, so only one sale of a large system would net you €3000 Euro in the first year. We are not able to provide commissions on the `Hobby` Plan, but if your referral upgrades to a larger system, then commission will be paid. Users click on your link or banner on your website. 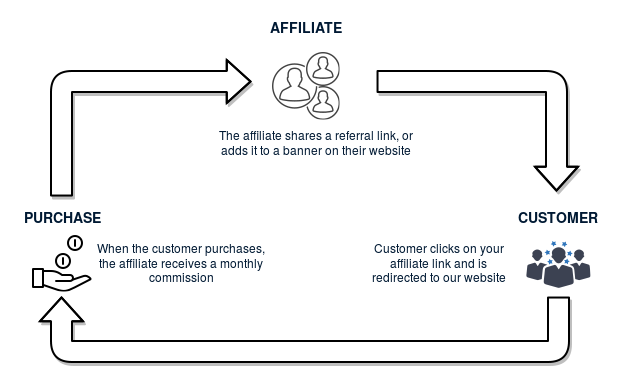 You include your personal affiliate link in blog posts, banners, and tweets. If a customer purchases, you get recurring monthly income for up to 12 months. We got you covered, click here to access our banners gallery.